In 1963 several people in Savannah who were either vision impaired or blind began to meet on a regular basis. They all had a common need, to learn skills to compensate for a vision loss. They met at the Boy’s Club, churches or anywhere they could find space. Over time the group became formally organized and, in 1970, formed a corporation under the laws of Georgia. Several certified professionals were hired in 1977 and the Savannah Center for Blind and Low Vision began to take its modern shape. The need for services steadily grew. To meet increasing demand, a low vision clinic was established in 1986. As the agency expanded, it outgrew its space so, in 1992, the Center moved to 214 Drayton Street, in the heart of the Savannah historic district. To meet the needs of people living in rural areas, home-based services were established in 1995. Late in 2011 The Savannah Association for the Blind began operating under the name “Savannah Center for Blind and Low Vision” (SavannahCBLV). This new name more accurately indicates the nature and scope of the Center; its programs and the people served. 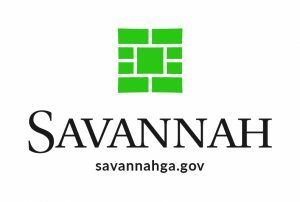 Today the Savannah Center for Blind and Low Vision provides service in twenty-nine counties of Southeast Georgia. Depending on individual needs, services are offered either in the home or center based. Savannah Center for Blind and Low Vision opens its doors to anyone with visual impairment and currently serves over 200 students each year. Most students are referred by their personal eye care physician or through state programs that help the visually impaired. All staff instructors are certified/degreed in their fields. The Savannah Center for Blind and Low Vision is making plans for the future. In the summer of 2015, the Center relocated to 1141 Cornell Avenue. The new location allows students to experience a more rural neighborhood setting in which to practice their orientation and mobility skills. Since the move, the Center has added a Social Worker to the staff to assist with those in our under-served populations.